The Miu Miu fluo mary janes were an excuse to make this post. 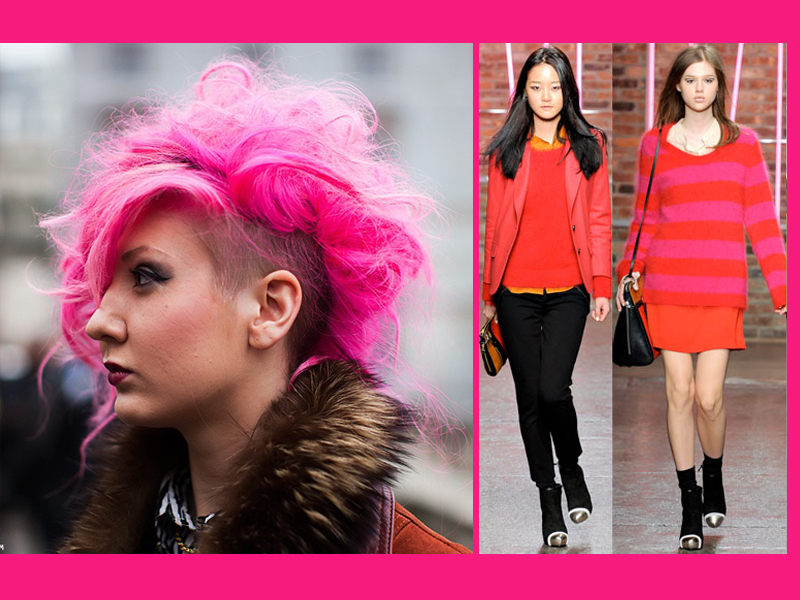 I've been looking around and I found some fluo elements in fashion, art and urban elements. 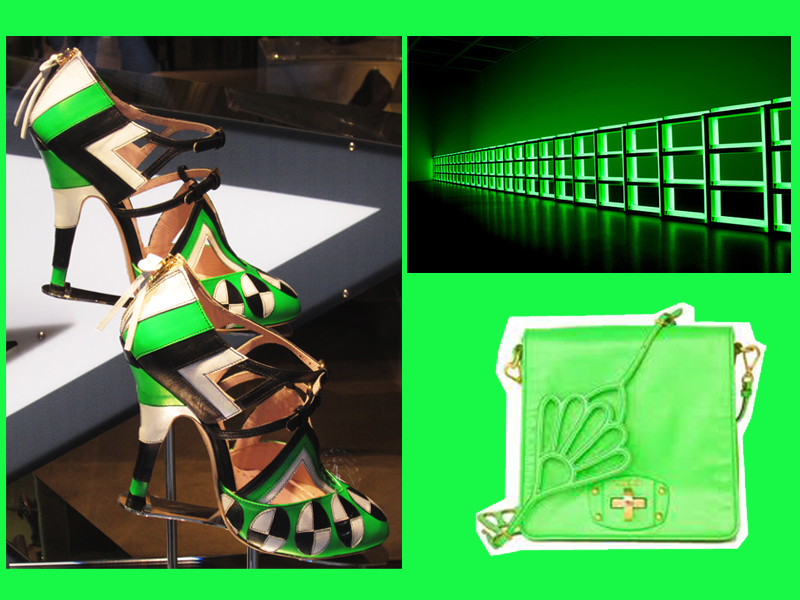 Miu Miu mary janes; Miu Miu bag; light instalattion by artist Dan Flavin. Picture from http://carolinesmode.com/stockholmstreetstyle/; DKNY Fall-Winter 2011-2012. 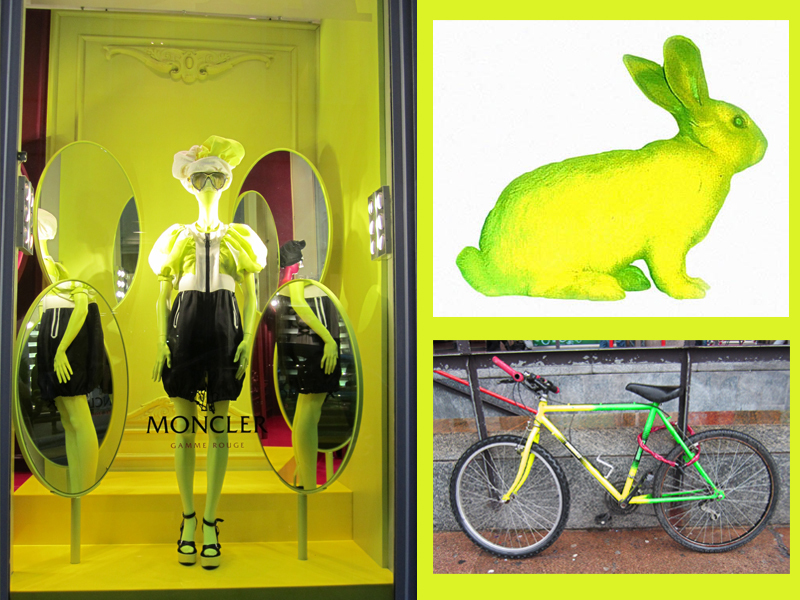 Shop window in Milan featuring the collection Gamme Rouge from Moncler; the neon rabbit by artist Eduardo Kac; fluo bycicle in Milan. ahhh I've embraced colour this weekend! all the colours I could put into an outfit to celebrate the warm wearher in Lisbon. Summer will definitely be a fluo season! Copyright © frenchlittlething. All rights reserved.